Should the DOT Impose a Speed Limit on Heavy Duty Trucks? The U.S. Department of Transportation (DOT), in partnership with the National Highway Traffic Safety Administration (NHTSA) and the Federal Motor Carrier Safety Administration (FMCSA) released a proposal August 26, 2016 that would require commercial vehicles to be equipped with speed limiting devices (also known as speed limiters.) The new regulation would apply to trucks weighing more than 26,000 lbs. The proposal does not include a specific speed to which trucks will be limited. The speed limits that have been suggested include 60, 65 and 68 mph; additional research and analysis needs to be completed before a decision is reached. The proposal states that a standard will be set and each vehicle will have its device set to that speed limit when it is manufactured and sold. Every vehicle that qualifies under the ruling will be equipped with a device that will read the vehicle’s current speed setting as well as its past settings through its onboard diagnostic connection. 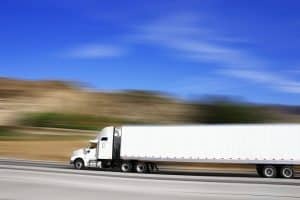 Interstate carriers who operate vehicles that meet the requirement will be required to maintain the speed limiting device for the life of the vehicle. “Even small increases in speed have a large effect on the force of an impact. Setting the speed limit on heavy vehicles makes sense for safety and environment” said NHTSA Administrator Mark Rosekind. According to the DOT, review of data indicates that limiting the speed of heavy vehicles reduces the severity of crashes and reduces fatalities and injuries. In addition to saving lives, the DOT maintains that implementing the speed-limiter devices could save lives and more than $1 billion in fuel costs each year, making the proposed regulation a win for safety, reducing fuel costs for transportation companies as well as helping the environment. Many carriers that are already using speed limiter devices voluntarily have experienced an increased level of on-road safety as well as fuel efficiency and equipment lifespan with little or no negativity to productivity. What should the speed limit for heavy-duty trucks be? Should the mandate apply to all trucks or only new trucks? The DOT will use comments submitted by the trucking industry as well as other interested parties when developing the actual mandate. To learn more about trucking regulatory compliance, risk management, and coverages, contact us. Use best in class locks, not plastic or a bolt seal. Trucks should be full of fuel, drivers rested and available to drive for at least 250 miles. Screen all job applicants and current employees. 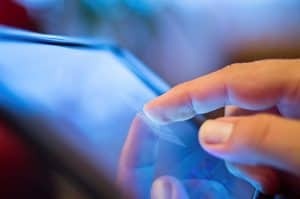 An online authentication service can be used to detect fake licenses. Don’t ship on a Friday for a Monday delivery – shippers will be anxious to move product out and may be less rigorous with driver vetting. Track the location and possession of your cargo – always. Leverage real-time monitoring, GPS tracking, and other technologies – they’ll save you money in the long run. A photo of the driver and their CDL should be copied and attached to shipping records. It is essential that all personal information is securely handled and stored during ID validation. Brokers should verify references by using GIS (Google maps) mapping tolls to verify company information. If the name on the truck doesn’t match the load tender, confirm with carrier of record. Brokers should validate insurance information by calling the insurance company. Cross reference company contact information by viewing the insurance company’s website. If you can’t find the website or the information doesn’t match up, consider this a red flag. To learn more about ways to avoid cargo theft, improving transportation practices, and obtaining trucking coverages, contact us. 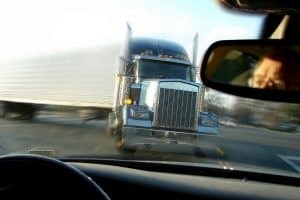 The Federal Motor Carrier Safety Administration’s Electronic Logging Device (ELD) Mandate began to go into effect on February 16 of this year. But we’re still in phase 1 of the three-phase implementation process. Currently compliance is voluntary, as the FMCSA encourages motor carriers to prepare for their upcoming compliance requirements. Phase 2 begins on December 18, 2017. In this phase, carriers will be permitted to use only AOBRDs (Automatic On-Board Recording Devices) installed prior to this date, or ELDs certified and registered after the inception of phase 1. In the third and final phase beginning December 16, 2019, all applicable carriers must enlist certified and registered ELDs in their transportation efforts. Currently ELD manufacturers certify their own devices for compliance with federal guidelines. 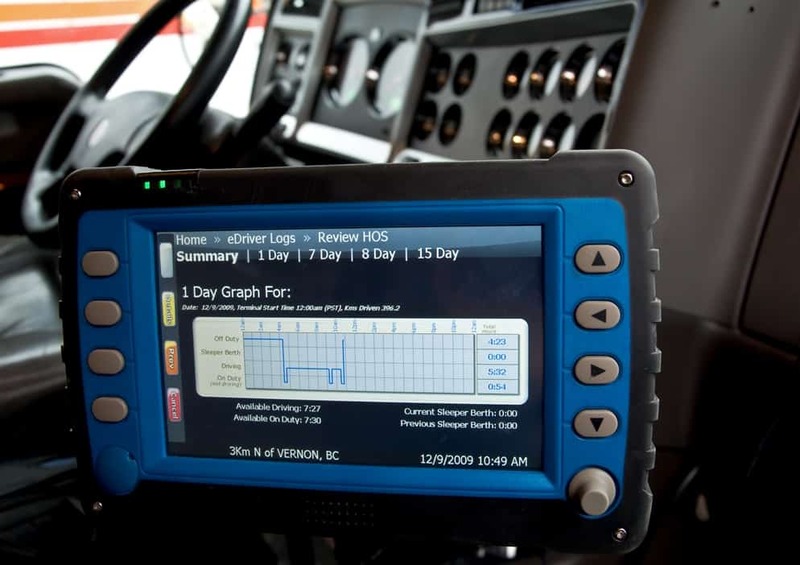 Increasingly widespread use of ELDs is intended to help protect drivers from excessive road-time, reduce the likelihood of falsified logs, and standardize data across the industry. The mandate applies to most commercial vehicles with a GVWR over 10,000 pounds. There have been legal challenges filed by some businesses and organizations – perhaps most notably the Owner-Operator Independent Drivers Association (OOIDA), which has claimed that the FMCSA has failed in proving the cost-benefit ratio of the new regulations are beneficial to the industry. This transitional period in the industry is likely to provoke a number of challenges, both legal and logistical, but many carriers have already initiated compliance efforts with the forthcoming regulatory phases. To learn more about the ELD mandate and how your organization can comply and benefit, contact us. Additionally, the program includes trained rapid response teams – comprised of legal professionals and engineers – available nationwide in the event of a significant claim. Customized coverage solutions allow local and intermediate motor carriers to obtain an optimum blend of coverages while controlling costs and accounting for specific regional and operational challenges. To learn more about how IMCCA can improve operations and reduce risk for intermodal drayage carriers, contact us. Inspectors will be evaluating the brakes on multiple criteria, including ABS functionality, loose or missing parts, fluid leaks, worn components, and other factors as applicable. Over 2,000 power units were placed out of service last year. To learn more about how you can avoid joining them, contact us. The CSA Safety Measurement System (SMS) Website has been updated with the June 24, 2016 snapshot. Motor carriers, check your safety assessment now. Yet another fatal and tragic trucking incident has brought into focus the staggering settlement costs growing increasingly common in industry litigation. Five nursing students from Georgia Southern University died in a recent tractor-trailer incident that has the country and the industry asking a lot of questions, not least of which is how settlement costs could total more than $70 million. The details of the case are as follows: The driver (John Wayne Johnson) has admitted fault in the accident. Though he has a record of falling asleep at the wheel, he insists he was awake at the time of the crash, and that systems in place to prevent these incidents were not functioning properly (including proximity warning sounds). Johnson and his employer, Total Transportation of Mississippi, have been indicted on numerous counts. Johnson will be facing five counts of homicide by vehicle in the first degree and serious injury by vehicle, and one count each of reckless driving, failure to exercise due care, and following too closely. These are substantial charges that could keep Johnson behind bars for many years. Total Transportation is indicted separately, as it is a corporate entity. The charges include one count of serious injury by vehicle in the first degree and one count of criminal responsibility of corporations. A statement from the attorney representing one of the victims’ family members has indicated that said family alone would receive $14 million in a settlement with Total Transportation. Extrapolating this settlement across all five victim families would bring the total cost of legal fees and settlements to over $70 million. These costs are representative of a dramatic trend in the industry. But are they justified? Insurers and industry experts largely say no – the implications of which are significant. Most transportation businesses don’t have the cash reserves to cover such a settlement, which makes plain the importance of liability coverage. Yet insurers are equally concerned. Several transportation insurance carriers are reducing coverage limits, raising rates, or dropping clients entirely. Many freight carriers will now need two or three insurance policies to procure $10 Million or more in liability coverage. What will the future of trucking legal settlements and damages look like? And how can safety and risk management practices reduce insurance premiums and the likelihood of such tragic and costly events? Contact the trucking insurance experts to learn more.